Bifold, trifold, quad fold, cross fold etc - contact us for a quote. Heavy 300gsm outer covers - front cover printed full colour 1-side only, back unprinted. Inside pages printed onto 170gsm gloss or matt art paper, wire bound on the short edge (landscape only). Unfolded leaflets can be relief varnished, UV varnished or UV spot varnished as well as gloss or matt laminated. Print4biz - A3 printing prices. A3 booklet printing, A3 leaflet printing, A3 brochure printing and A3 poster printing. Free proofs. Free mainland delivery. Free document check. 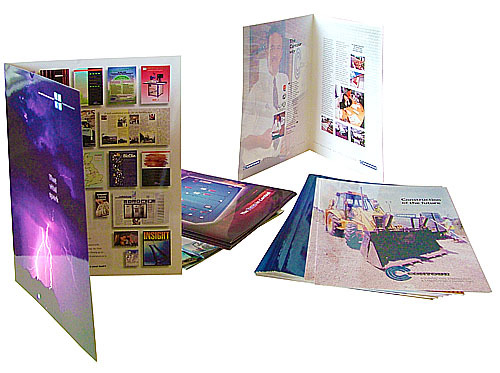 A3 printers, A3 printing, A3 posters, A3 brochures, A3 gate fold, gatefold, A3 flyers, A3 leaflets, A3 folded, A3 quarter fold.